Copters are deployed to search an area and to interact with search dogs. Search dogs are equipped with a harness that is connected to the SWARMIX network and reports the position of the dog. 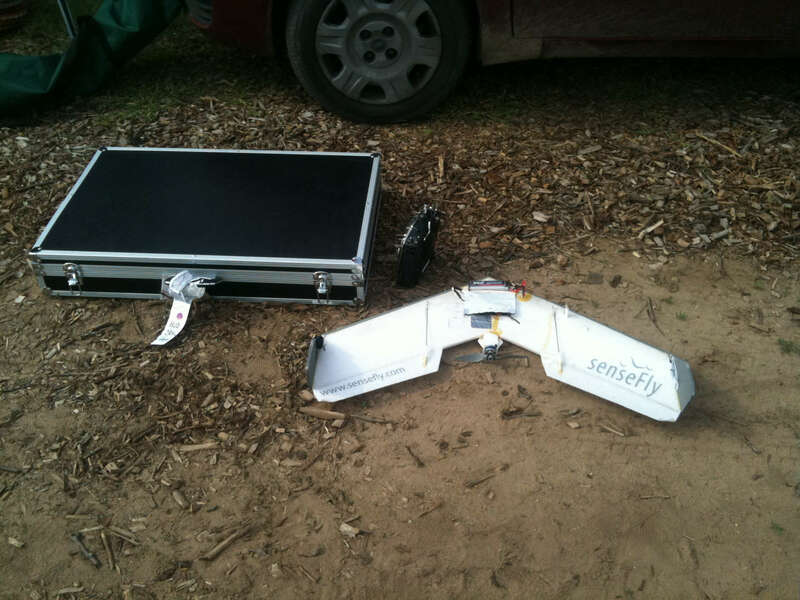 Swinglets sweep an area by making use of on-board cameras. Before take-off, the swinglet is checked and prepared. The SWARMIX project is about laying the foundations for the design, implementation, and adaptive control of heterogeneous multi-agent systems that are composed of humans, animals, and robots, working in cooperation to solve distributed tasks that require a wide diversity of sensory-motor and cognitive skills. We refer to such systems as mixed swarms. The aim is to provide each component of the mixed swarm with a high level of autonomy in order to allow it to fully exploit its own unique skills and abilities, and at the same time to set up close bidirectional interactions and information flows between all system components in order to ensure overall synergistic cooperation. The main novelty of this project lies in the cooperative integration of a possibly large number of humans, animals, and robots in tight cooperation in one single networked system with distributed control. The research work in the SWARMIX project is guided by the creation of a specific validation scenario composed of humans, dogs, and small-sized UAVs aimed at performing search and rescue (SAR) missions in outdoor civilian domains. Concentrating on one example is important given the vast possibilities in the ways mixed swarms can be composed and applied. A practical implementation will help to guide the development of theoretical work and provide a testbed for new ideas. The choice for search-and-rescue missions is inspired by their practical/humanitarian relevance, and by the fact that these applications are often used in the scientific domain as reference test to assess the performance of collective cooperative systems. In order to validate our research and to emphasize the synergistic cooperation between partners, the SWARMIX project includes a rigorous experimental protocol in the context of the SAR scenario, where success will be measured by the capability of the swarm as a unit to locate targets in distributed environments more reliably and/or faster than each group of agents in isolation or even in pairwise combinations. 4. 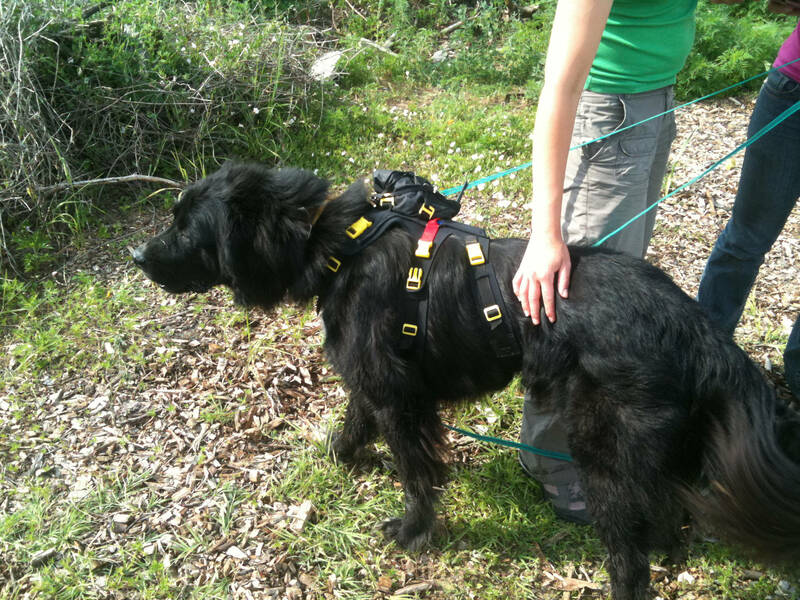 Training, control, and monitoring of dogs for full integration in the swarm studied at ELTE. Each of these four research directions stands by itself and addresses fundamental scientific issues. It is from the interaction among these four research directions and their integration into one common view and real-life application that we can obtain a true synergy of results and provide answers to the main challenge of this project, namely adaptive cooperation in heterogeneous, multi-agent systems to perform tasks more efficiently. SWARMIX is funded by the Swiss National Science Foundation, Sinergia Programme, contract CRSI22 133059, and runs from 2011-2014.